Isles of Scilly as a Holiday Destination. Whenever I tell people about the Isles of Scilly, 90% of the time they've never heard of it. Most people don't even know that it's part of the UK and just 30 miles off the coast of Cornwall, barely an hour's flight from Exeter, and just a half hour flight from Newquay. I always respond with 'it's a tiny group of paradise islands off the coast of Cornwall', because to me, they really are. During the summer when the full sun is shining on the ocean, it's crystal clear and the loveliest shade of turquoise. 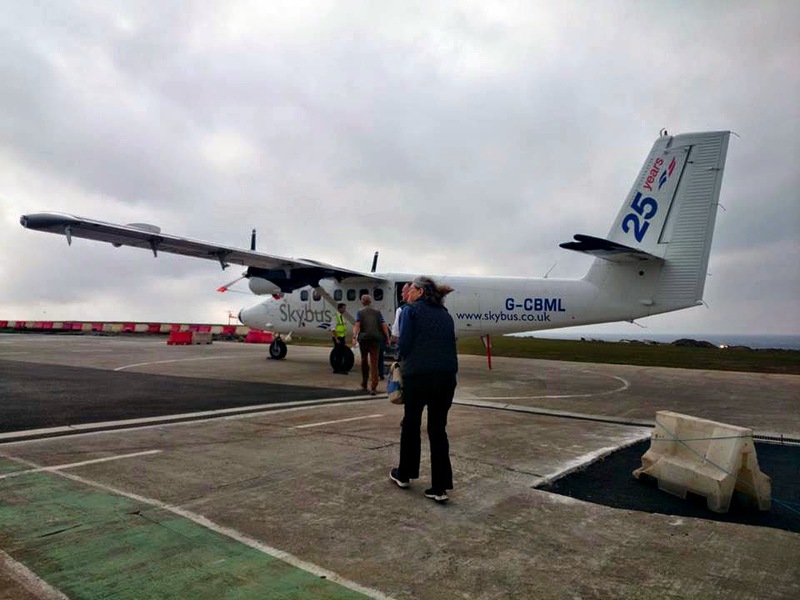 There are two ways of getting to Scilly; boat or plane. I've only been on the Scillonian III boat once, and it takes around 2 hours 40 minutes from Penzance in Cornwall. It really is an incredible experience approaching the archipelago on the boat, floating past the islands and arrived in the quay on St Mary's, the main island. The other times I've been by plane, which is much quicker and easier. You can fly from Exeter, Newquay, or Lands End. The planes are very small, but that's all part of the experience, and I actually prefer smaller planes to bigger ones! If you're a UK citizen you don't need a passport to fly, just a form of ID like a drivers license or credit card. Deciding which island to stay on depends on what type of things you enjoy doing and seeing. 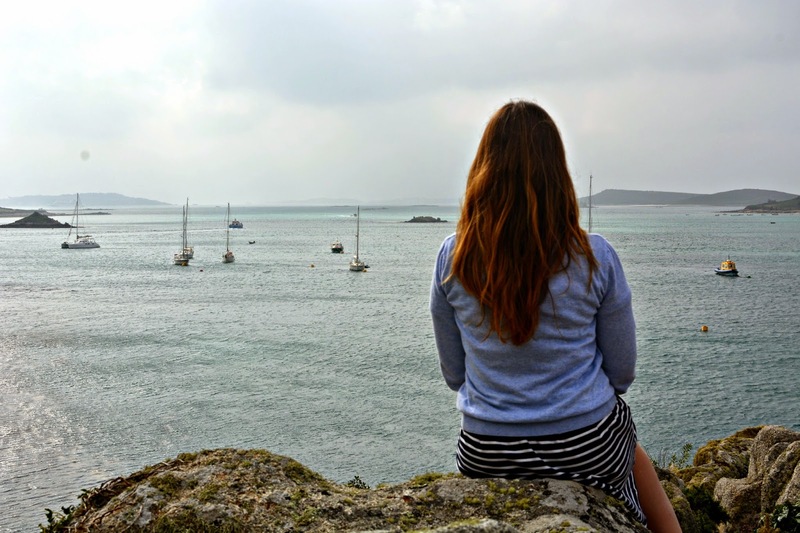 If you're not a huge fan of isolation and enjoy being near a town then St Mary's will be best, however if you really want to get away from it all, my favourite islands are Tresco and St Martins. St Martins has the best beaches, and Tresco is just beautiful with breathtaking scenery and the Abbey Gardens. It's important to remember though that you can easily do day trips to each island as there are regular boat services running between them all, which are posted on a board a day before. The boats cost £2.50 per person each way, which is well worth it and goes towards the running costs of the boats. There are plenty of options for accommodation on Scilly, most of the islands have a hotel or B&B, camping sites, and holiday rental homes. 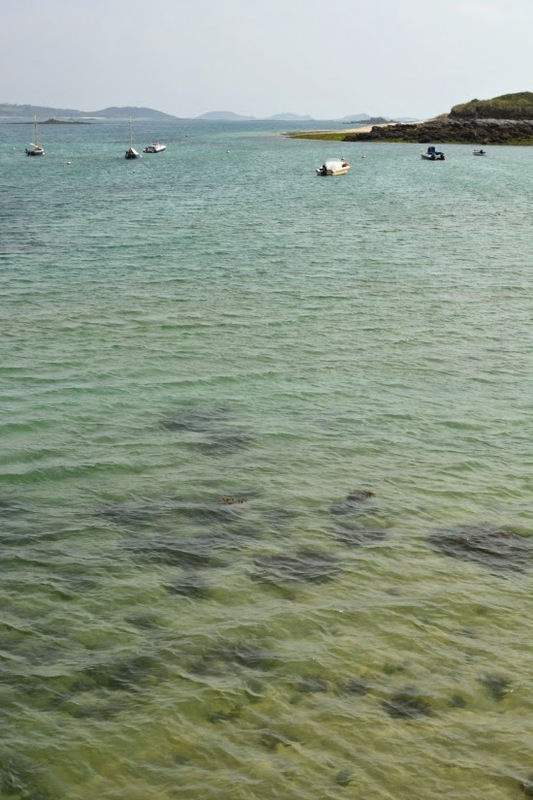 Tresco is the main tourist island, particularly for families or those who enjoy luxury travel. 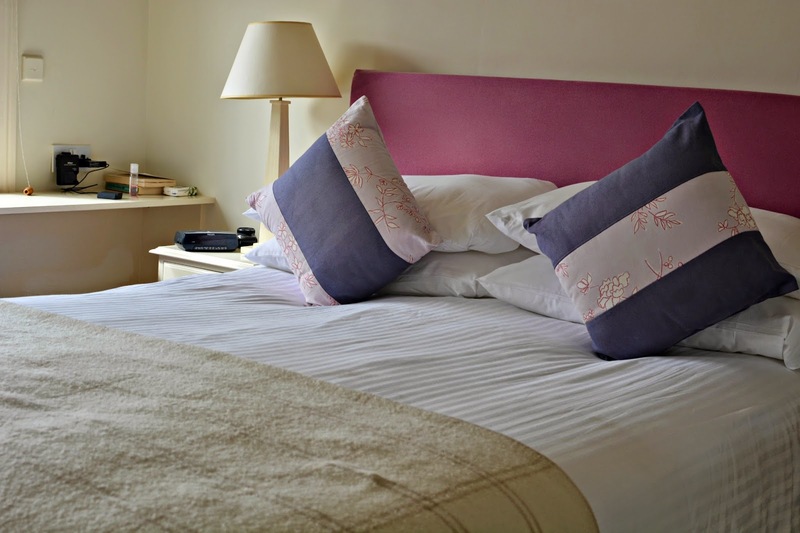 I stayed at the New Inn Pub and Guesthouse (read more in my post here), and can highly recommend it. The rooms are small but light and airy, and mine had a huge sash windows overlooking the ocean and neighboring island Bryher. The staff were really helpful, there was free wifi, and homemade cookies and loose tea in the room! This really depends on which island you're staying on, whether you're planning to visit any other islands, and how long you're there for. 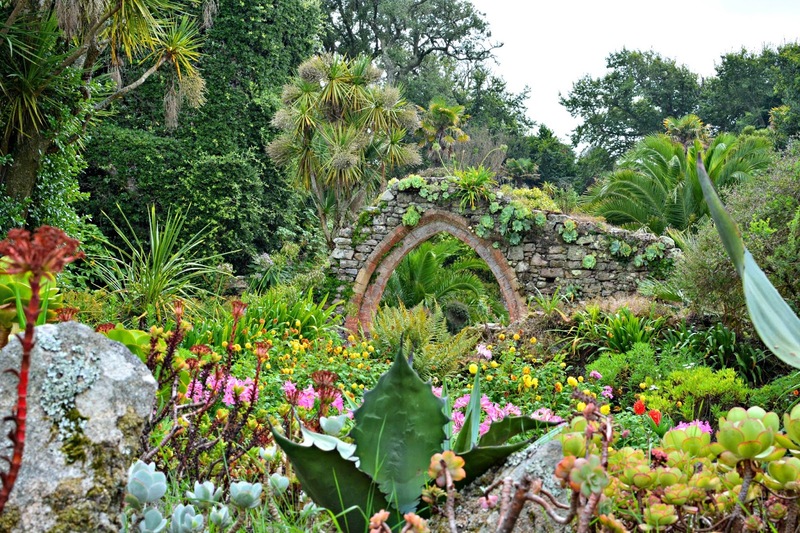 Tresco has an abundance of things to do and see as you might have seen from my previous post about my trip to the Abbey Gardens and Cromwell Castle. Most of the islands have similar activities though, which include; boating, fishing, birdwatching, walking, boat excursions, snorkelling trips with seals, beaches, caving. On St Mary's there's much more to see and do, including an interesting little museum on the history of the Isles of Scilly. There are also various events going on all-year round, so it's worth seeing if there's anything happening that interests you. The weather on the Isles of Scilly is always pretty good, being one of the mildest and warmest climates in the UK. Even during winter it doesn't often go below 6 degrees celcius, and in summer it doesn't often dip below 18 degrees c. However, it is quite often very windy on the sea and surrounding coastline, so even if you're visiting in the height of summer, always take a jumper and coat! The food on the Isles of Scilly is honestly some of the best I've had. Most of the food served is local and the seafood freshly caught. Fruit and veg is home-grown, and the islands have their own dairy and beef farm. 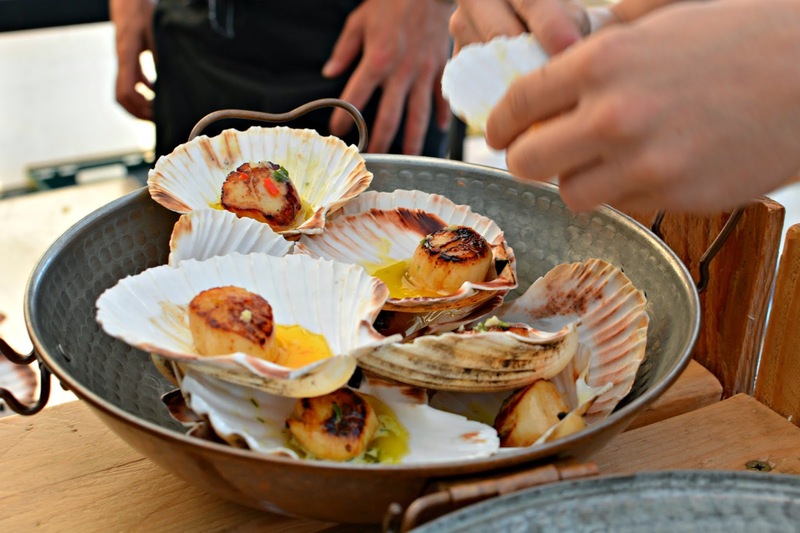 There are plenty of pubs, restaurants, and bars on the islands, ones I can personally recommend are the New Inn on Tresco, the Flying Boat Restaurant on Tresco, and the Hell Bay Hotel and Hell Bay Crab Shack on Bryher. The Isles of Scilly is honestly one of the most outstandingly beautiful places in the UK. It's the ideal holiday destination for families, couples, and friends, with something for everyone, especially if you love the great outdoors! It really is quite something, and I can't wait to come back again. For more information on travel, the islands, and accommodation on Scilly, please visit www.visitislesofscilly.com, and click here to see my previous posts on my trip to Tresco & Bryher. I've loved reading your posts about your trip. 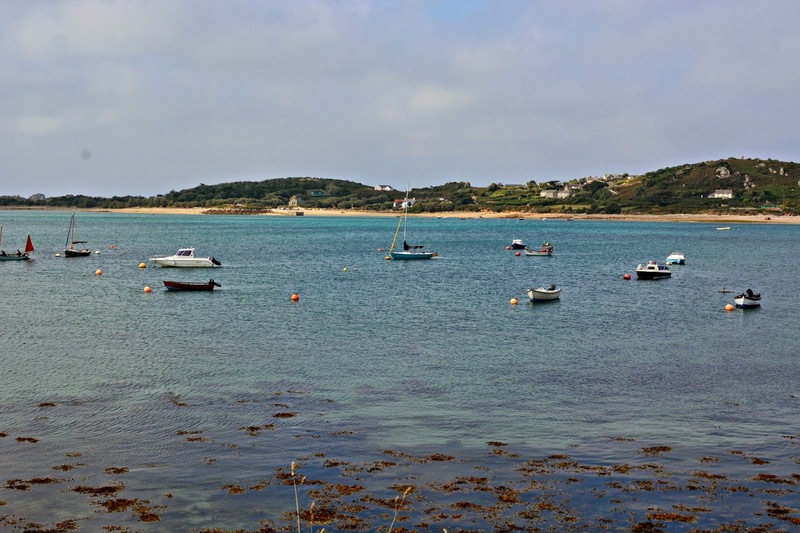 I've always wanted to visit the Isles of Scilly since living in Cornwall a few years ago, but never really knew much about it or what to do there. Your posts have really given me an insight so I'm actually thinking about visiting with my partner next year when we head back down to Cornwall anyway. Aw, thank you, it's so great to get feedback like that! I'm so glad you've enjoyed the posts, do let me know if you go next year - I'd love to hear all about your experience! Beautiful place. I would love to visit it, maybe next year. This is so lovely to read - I'm off there next month, and I'm already so excited. We're flying from Exeter and staying on St Mary's but I'm hoping to explore a bit further as well.